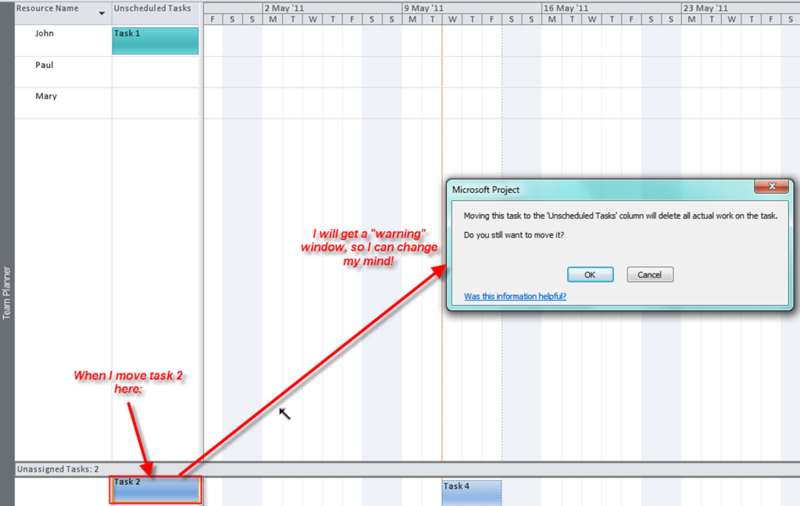 I will show you how you can easily adjust assignments and reschedule your tasks in the project. 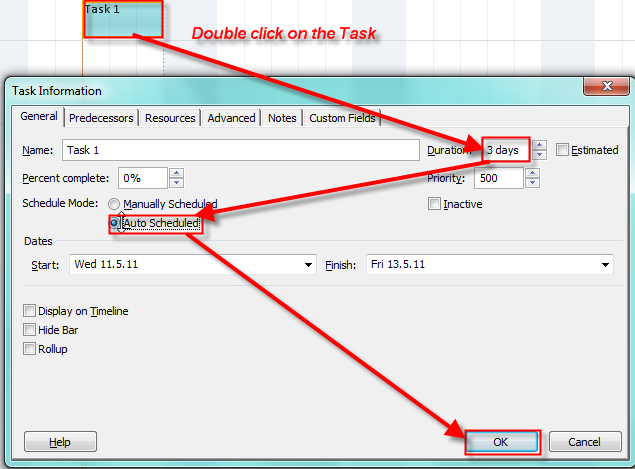 You can see that the task is still in manual schedule mode, but it has estimated duration of 1 day. You can see that John is not “over allocated” anymore. 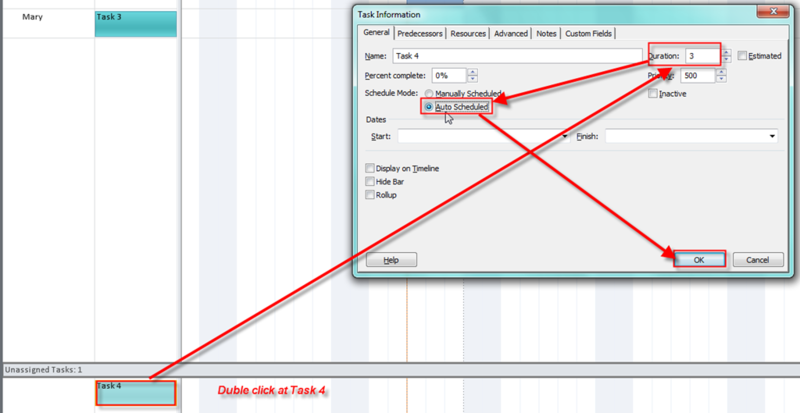 You can see that Task 4 is now scheduled but not assigned. 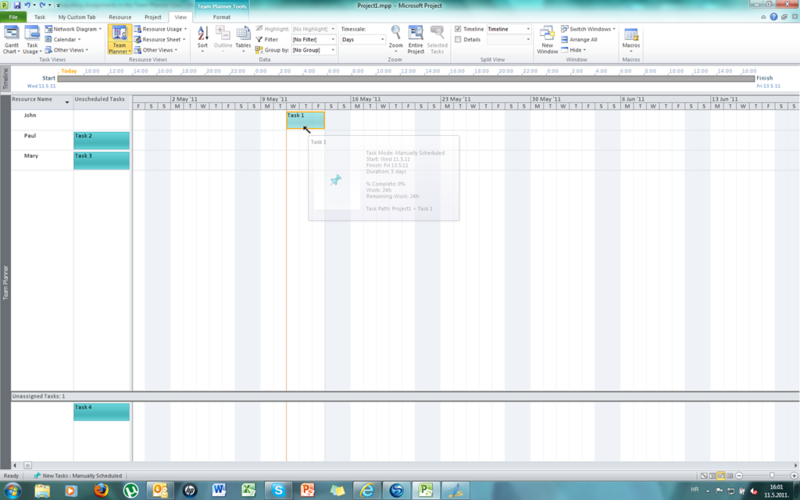 And last, but not least, Tem Planner View is available only in MS PROJECT 2010 PROFESSIONAL VERSION! 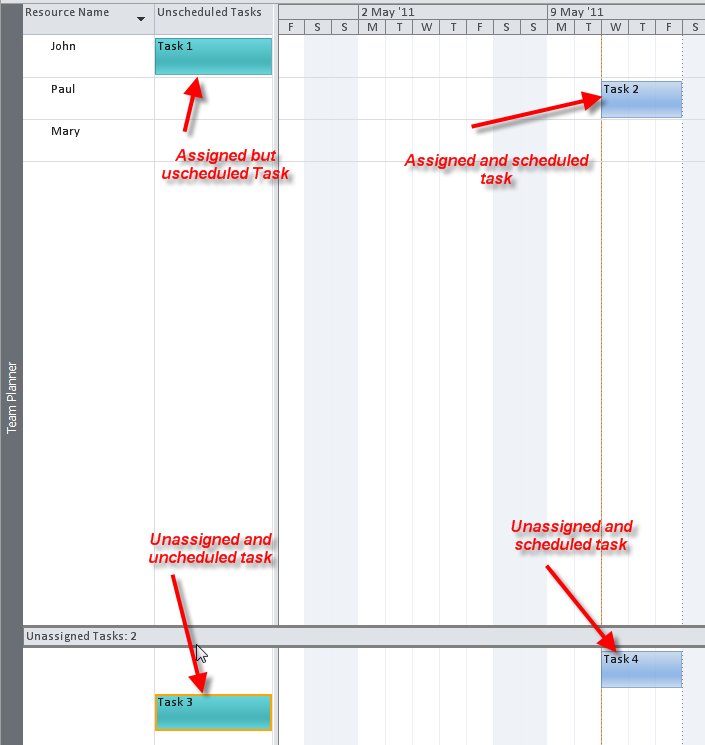 In my next blog I will make the scenario more complicated because I will make a relationship between the tasks and THEN I will move them around! 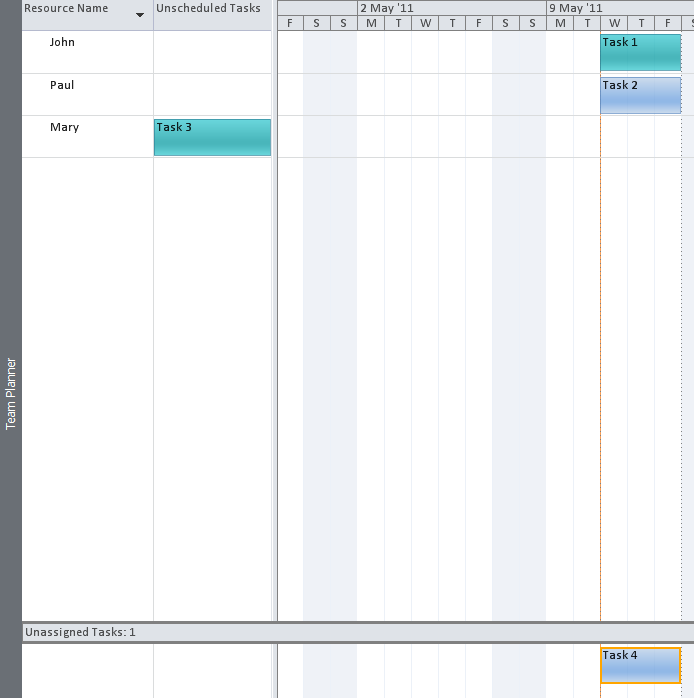 This entry was posted in Microsoft PRoject 2010, MS PROJECT 2010, PMI, PRoject Management and tagged Micrrosoft Project 2010, MS PROJECT 2010, Project Management, Team Planner View - part 1. Bookmark the permalink.